If not satisfied, we will refund your money! 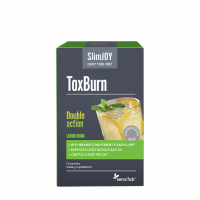 BootBurn Intensive uses the power of green coffee extract to burn more fat, even while you're not being physically active. A French innovation that prevents your body from using sugar as the first source of energy and instead utilises your stored fats. It naturally raises your internal temperature and makes your body believe that it's exercising. It decreases the absorption of sugar in the intestine and the use of sugar from food. Get the results you want even when you are not being physically active. The unique combination of kola seeds extract with natural caffeine, green coffee extract, ginger extract and vitamin B3 allows you to achieve results even without physical activity. 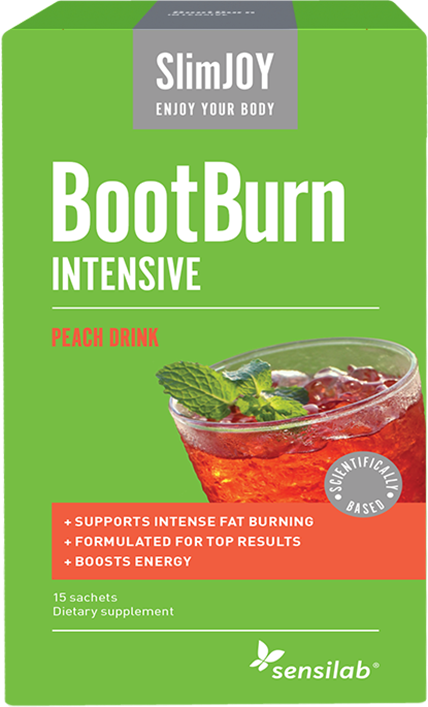 BootBurn INTENSIVE accelerates fat burning, helps you to an optimal digestion, gives you more energy, and helps you maintain adequate levels of blood sugar. At the same time increases your vitality and diminishes the feeling of fatigue. Bulking agent: corn dextrin, kola seed extract with 10% caffeine, green coffee beans extract with 45-50% total chlorogenic acids and 2% caffeine, peach flavor, acidity regulator: citric acid, ginger root extract with 5% gingerols, nicotinamide, anti-caking agent: rice concentrate, sweetener: sucralose. The recommended daily dose is 1 sachet dissolved in a glass of water after the meal. If you are hypersensitive or allergic to any of the ingredients of this product or use medication consult your doctor before use. This product is not recommended for breastfeeding women. Do not exceed the recommended daily dose. Supplements should not be considered as substitutes for a varied diet and a healthy lifestyle. Keep out of reach of children under three years of age! Store in a cool, dry place at temperatures below 25 ° C.